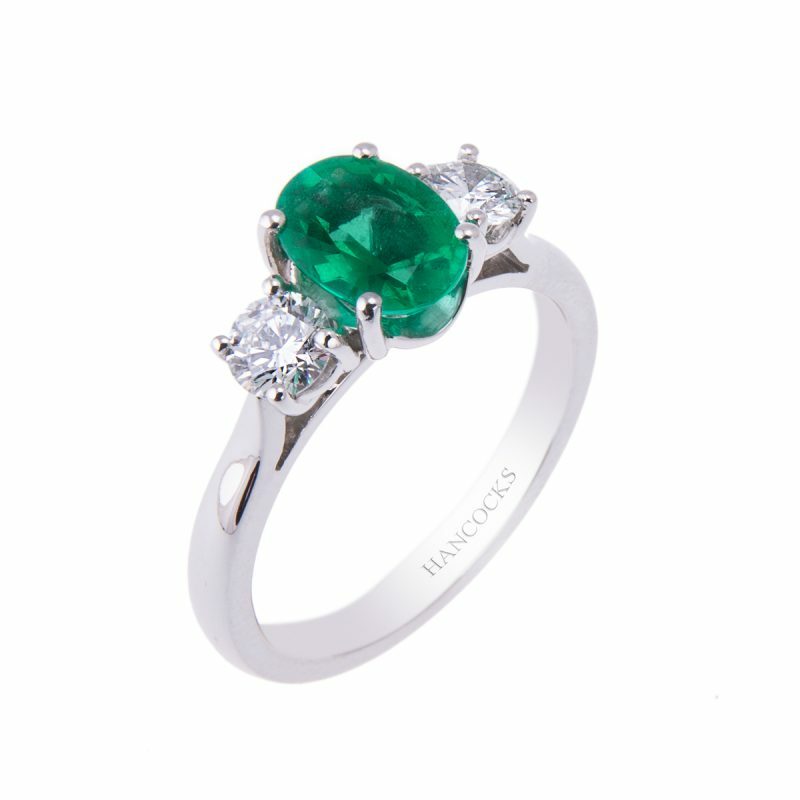 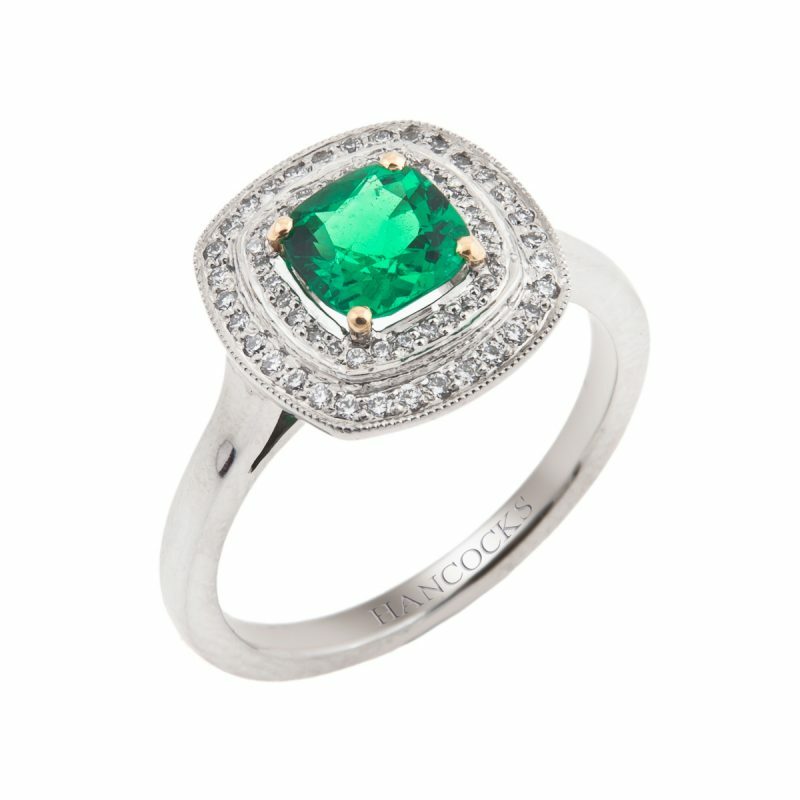 You will find the perfect balance of bold design and strong colour with this striking emerald and diamond ring. 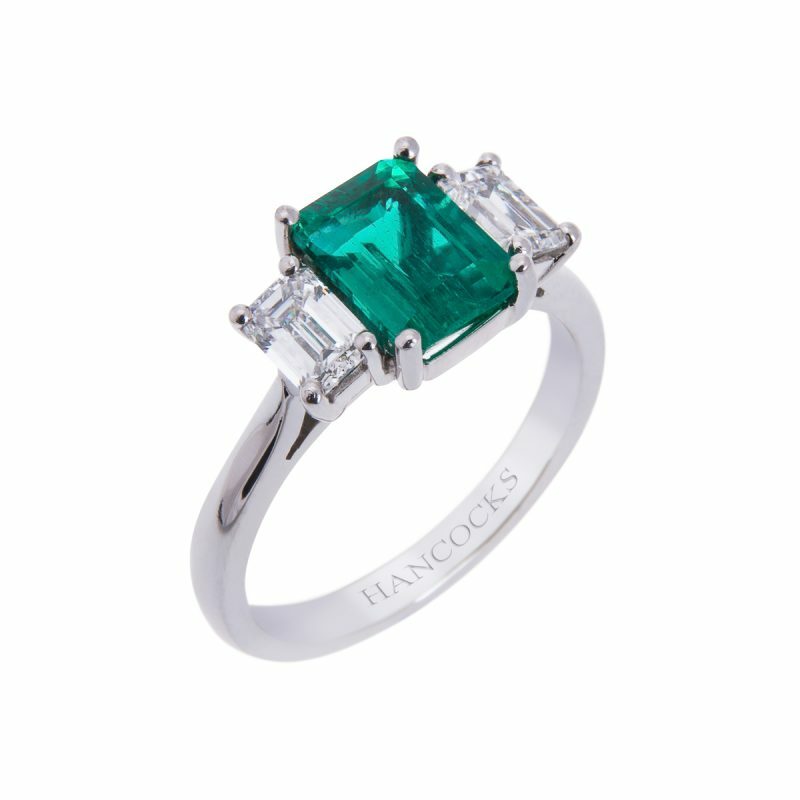 A fine emerald can be even more valuable than diamonds and this superb cushion cut won’t disappoint. 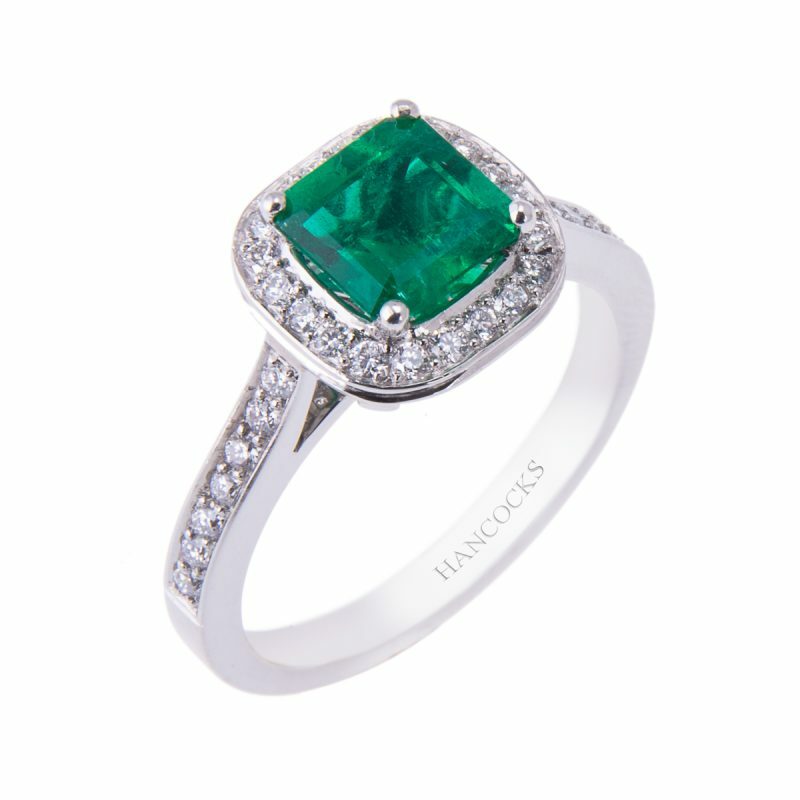 Handcrafted in a platinum claw setting, a single cushion cut emerald, with a strong vivid green colour, accentuated by a halo of brilliant cut diamonds contouring the shape of the central stone and them continuing along the shoulders to complete the look.